It is not possible to say whether a belt used to stop spitting and biting contributed to the death of a man in custody, a court has heard. Thomas Orchard, 32, had an emergency response belt (ERB) placed across his face for around five minutes after he was arrested in October 2012. He died in hospital seven days after he was detained at Heavitree Road station. Devon and Cornwall Police admitted breaching the Health and Safety at Work Act in 2018. A four-day trial of issue at Bristol Crown Court will resolve a series of disputed matters, including whether the belt contributed to his death. Pathologist Dr Russell Delaney told the court that Mr Orchard, who had paranoid schizophrenia, died from a severe brain injury caused by a lack of oxygen. He said he could not say that the ERB contributed to the cardio-respiratory arrest that caused the brain injury from looking at his evidence in the case. "I believe it is not possible to say that it must have made a contribution but you can't exclude the possibility," Dr Delaney said. He said that, if the judge found the belt had restricted Mr Orchard's breathing, it would be one of the factors in the "multifactorial" death. 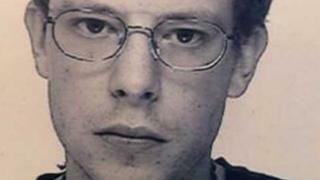 Mr Orchard was suffering from a mental health crisis when he was arrested in Exeter city centre for a public order offence at about 11:00 GMT on 3 October 2012. Prosecutors allege that Devon and Cornwall Police made a number of failings in the way it procured, assessed, reviewed and trained staff to use the device. Mark Heywood QC previously alleged that no risk assessment was carried out on this use of the ERB, which he described as a "fundamental failing". Jason Beer QC, representing Devon and Cornwall Police, said there were five other "plausible causes" for his death. These include cardiac arrest caused by Mr Orchard stopping his anti-psychotic medication. The trial of issue continues.